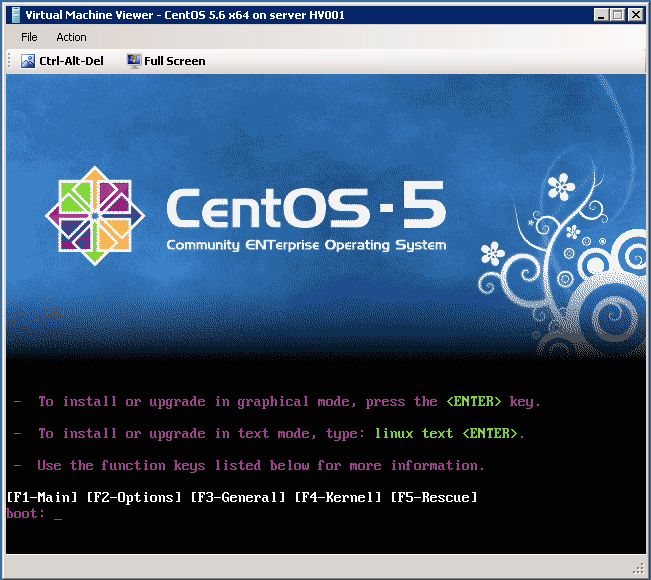 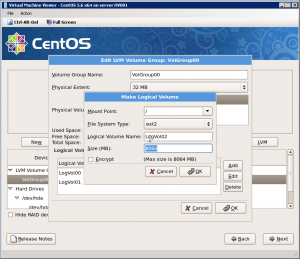 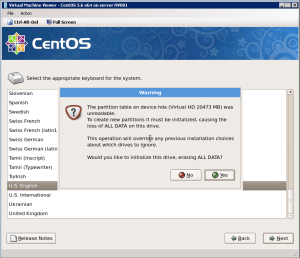 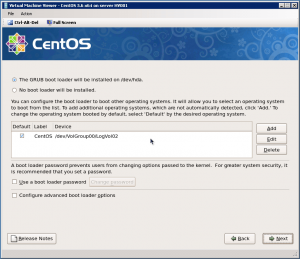 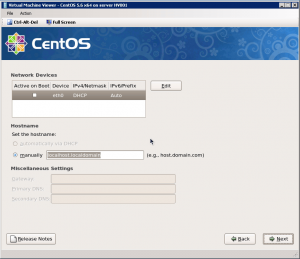 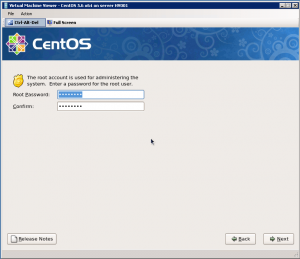 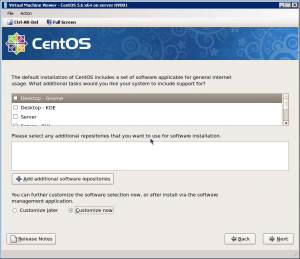 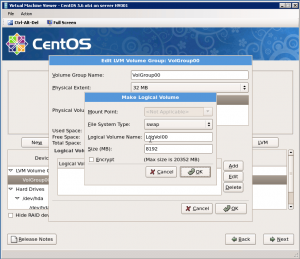 Step 9: Press Enter to start CentOS 5.6 x64 installation. 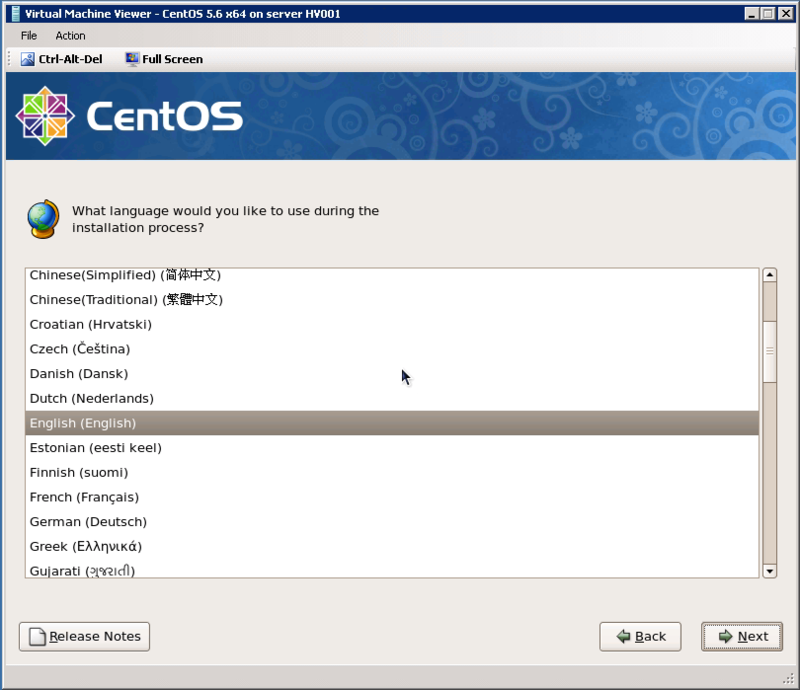 Step 10: Skip CD checking and choose a language. 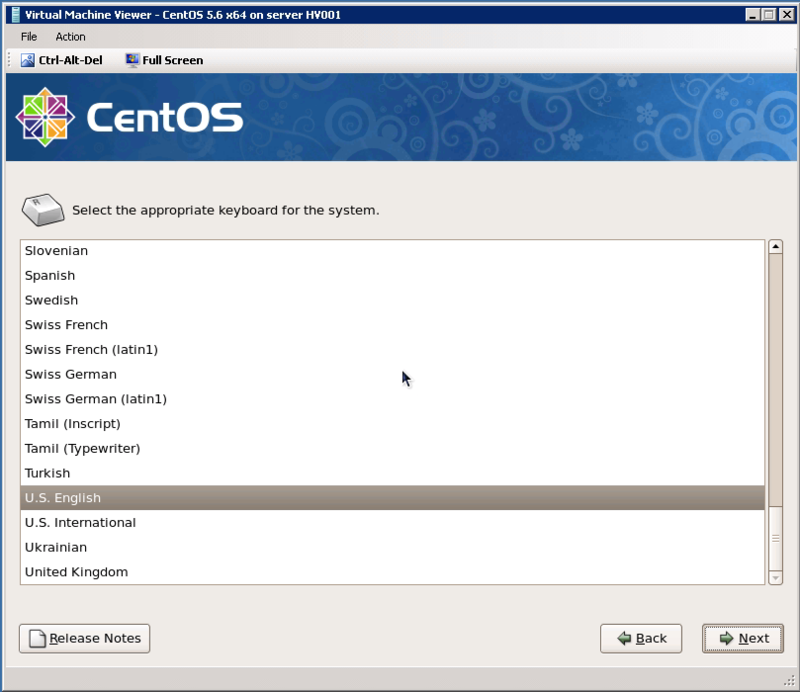 Step 11: Choose keyboard and click “Next”. 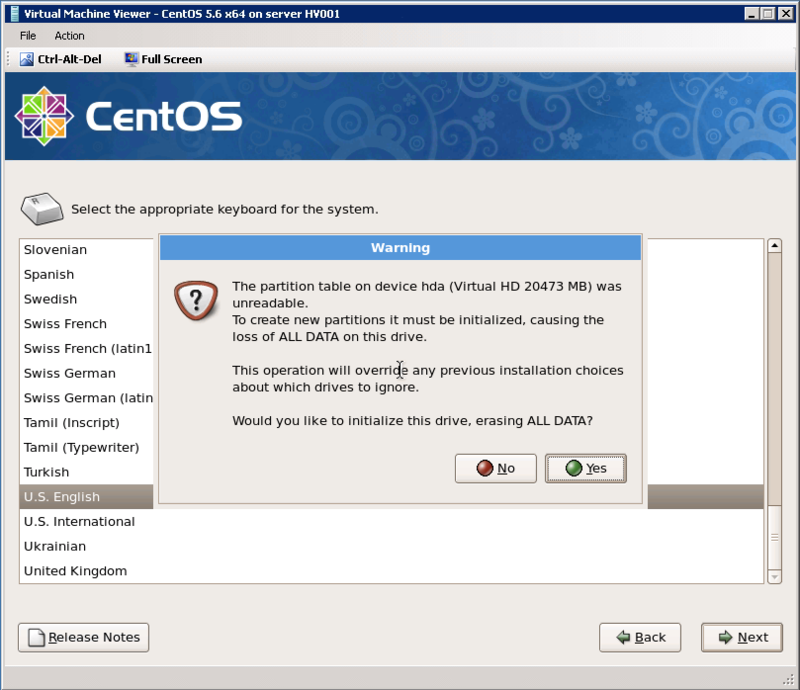 Step 13: Click “Review and modify partitioning layout” and click “Next”. 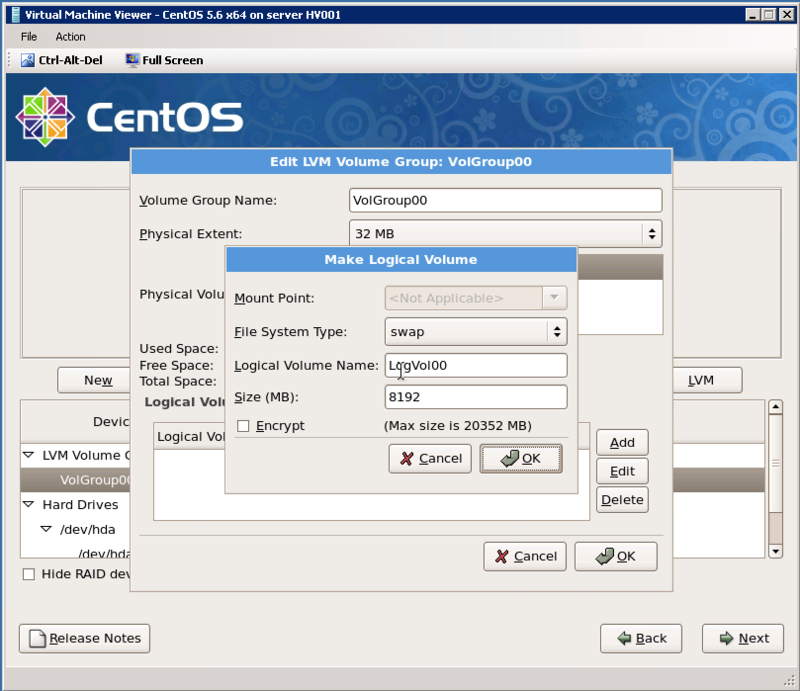 Step 15: Delete pre-defined volumes by clicking “Delete” button. 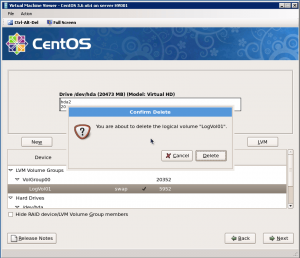 Step 16: After you clear volumes, go to LVM and click “Edit” button. 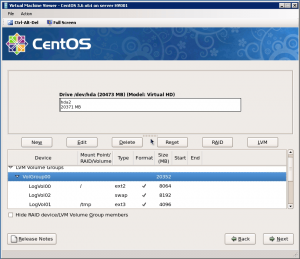 Step 17: Click “Add” button to create new partitions in LVM. 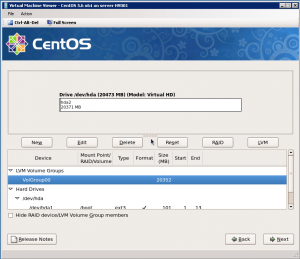 Step 18: Create mount points and sizes as you want. 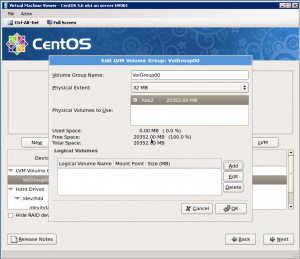 Step 19: As an example, I create a Swap partition as 8192 MB. 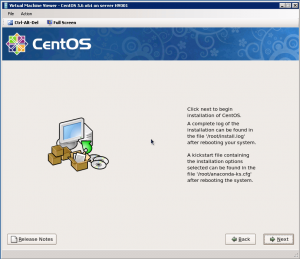 Because swap should be twice of your memory. 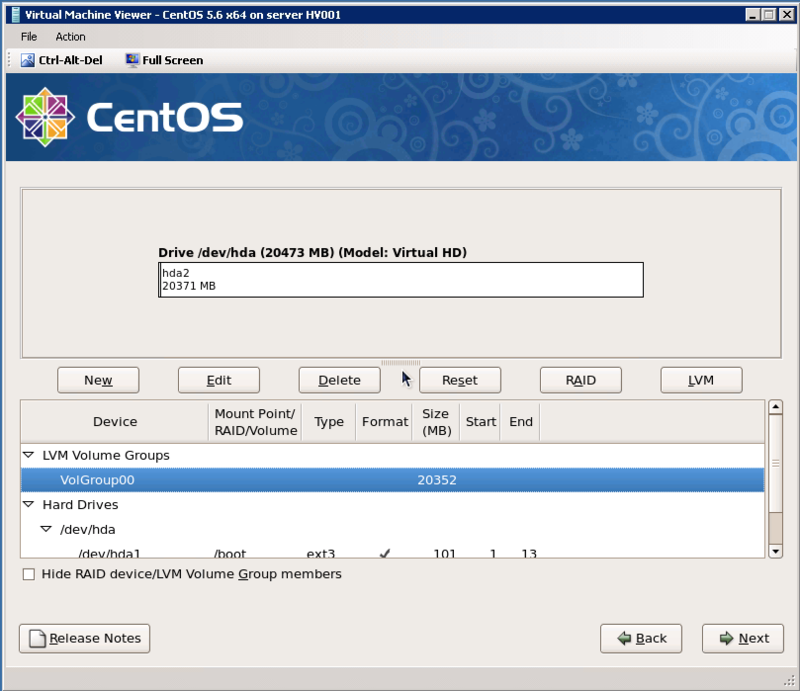 Step 20: Create /tmp mount point as 4096 MB. 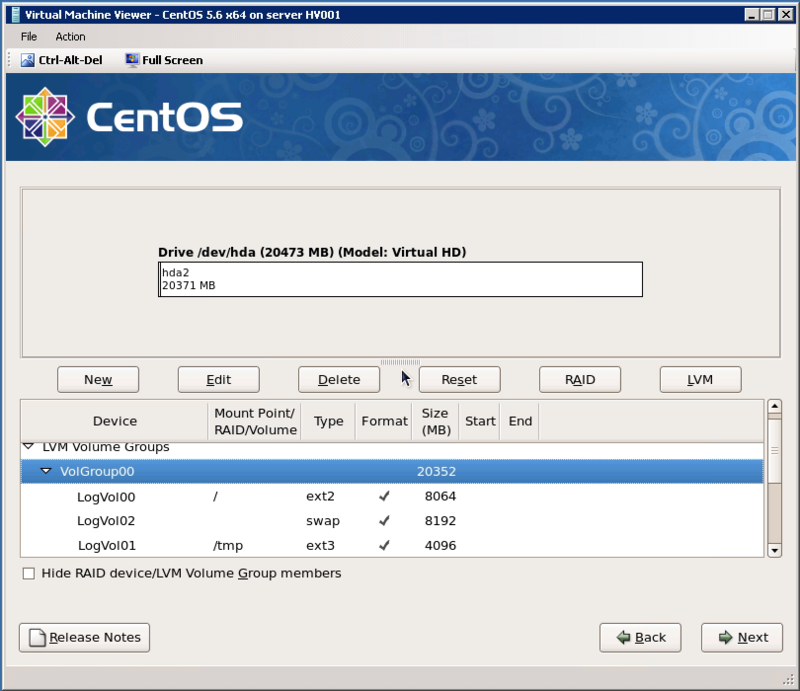 Step 21: Use all available space for / mount point. 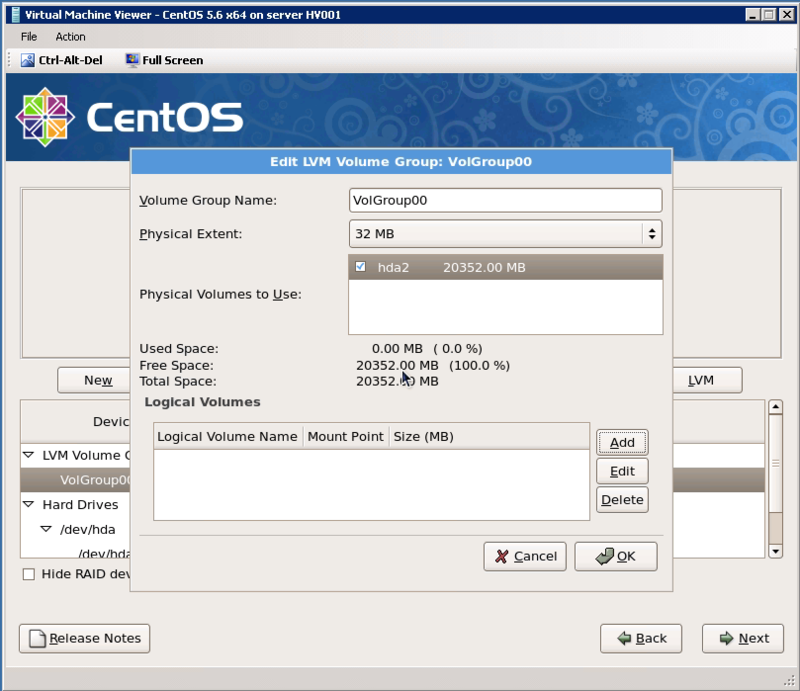 In this case I have only 8064 MB disk space. 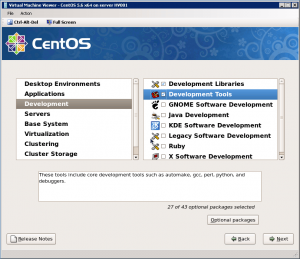 Update: You should first create / mount point. Otherwise you can’t extend LVM with Set-LinuxVM. 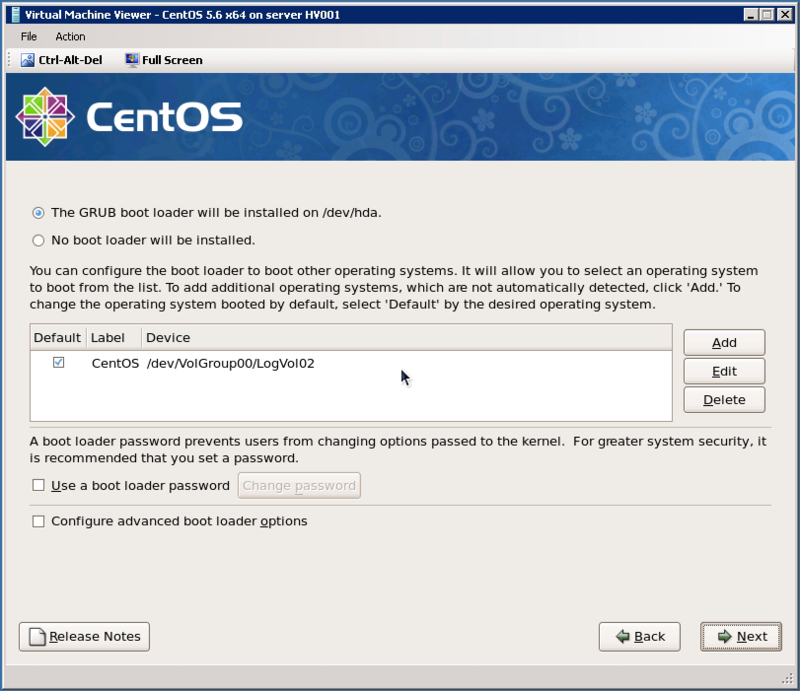 Step 23: Next page, choose “GRUB boot loader” and click “Next”. 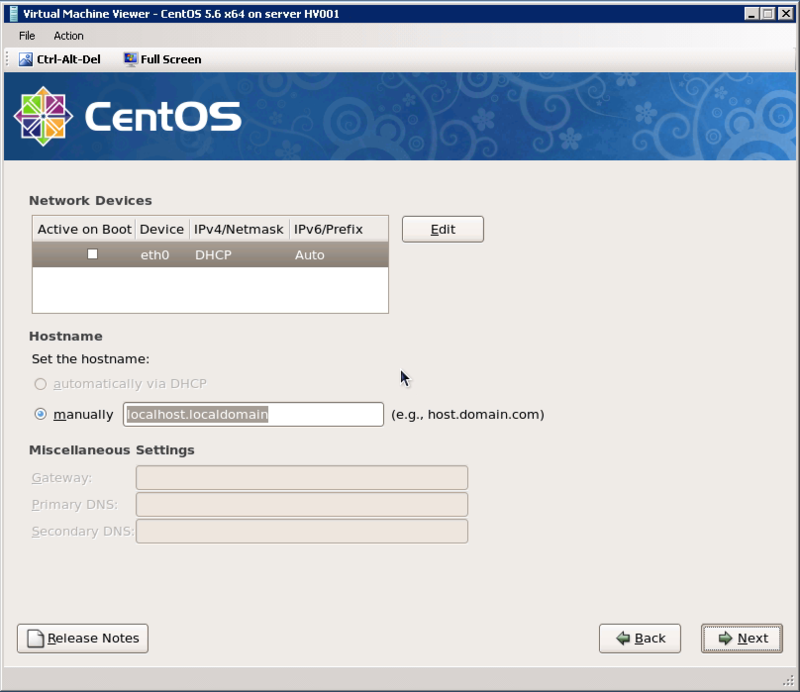 Step 24: Leave all default but clear “Active on Boot” option. 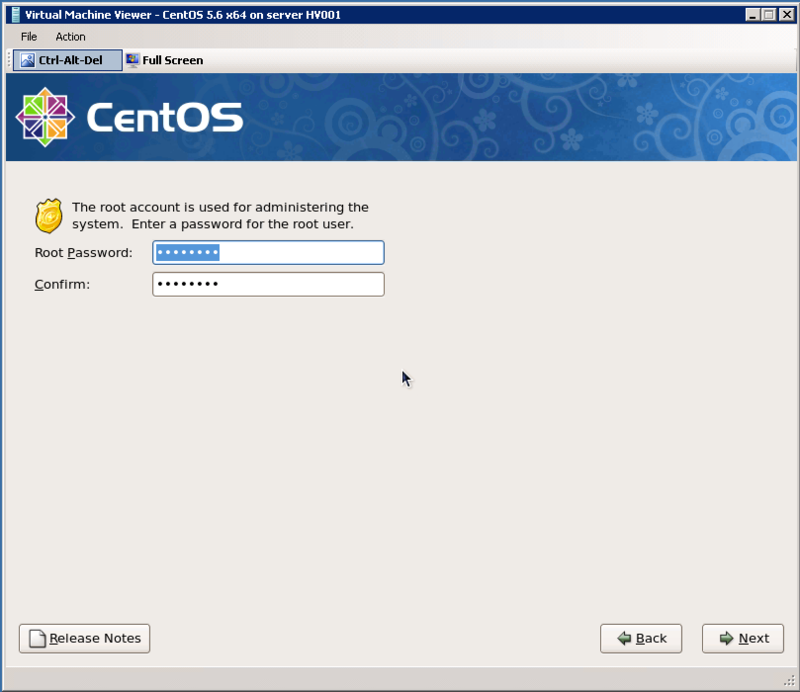 Step 25: Choose your timezone and next page assign a root password. Step 26: Clear the click of “Desktop Gnome” and click “Customize Now”. 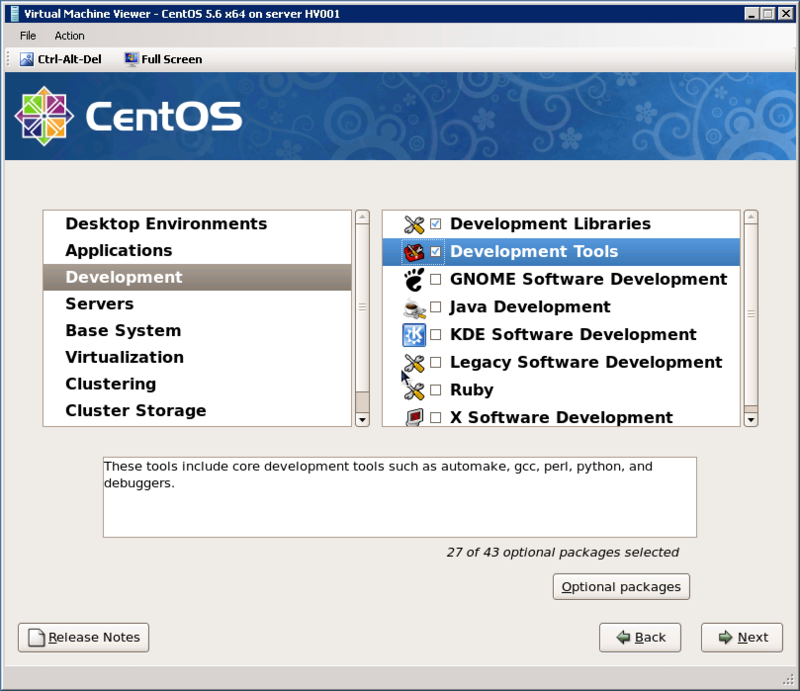 Step 27: Click “Development Libraries” and “Development Tools”, then click “Next”. 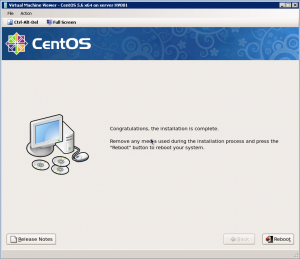 Step 28: You can start installation by clicking “Next”. 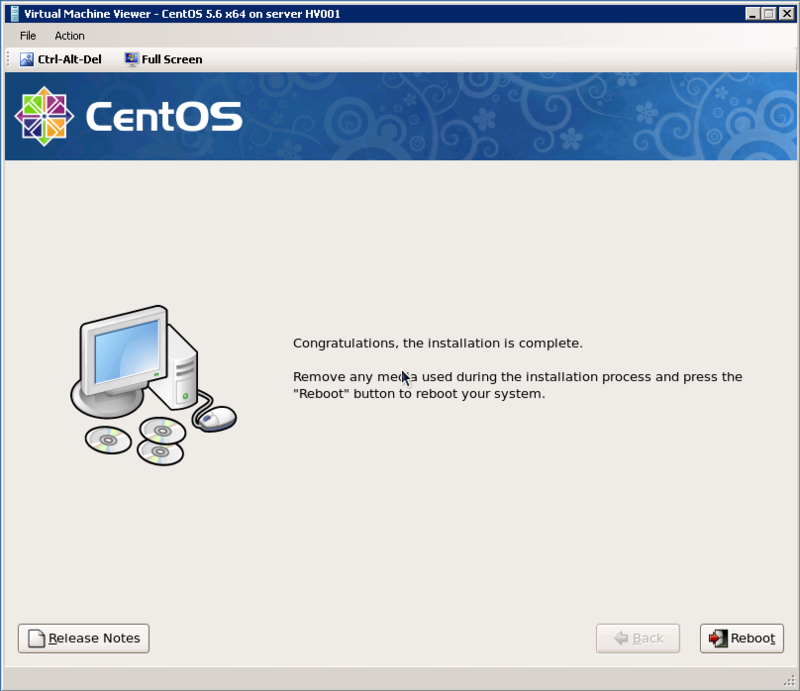 Step 29: After installation complete, reboot virtual machine.